It is Melissa’s attention to detail and ability to think outside the box that drives her success as a Costs Draftsman at MRN. Following her graduation from Sheffield Hallam University with a 2:1 LLB (Hons), Melissa became a Trainee Costs Draftsman at a large Defendant insurance law firm, before moving to a predominately Claimant firm. Prior to this, alongside her degree Melissa completed a full year of placement at a law firm, gaining experience in numerous practice areas including personal injury, wills and probate, family and conveyancing. In 2015, Melissa joined MRN, specialising in matters of high value clinical negligence and personal injury. Melissa’s day to day work includes drafting budgets, preparing Bills of Costs, engaging in negotiations and preparing Points of Dispute/Reply. Despite her specialities, Melissa has also gained much experience in court of protection matters and commercial litigation claims. She was one the first fee earners to prepare multiphase bills, becoming a key player in overcoming their initial technical challenges. Melissa is highly motivated to defend her argument and client’s position to achieve results that are a reflection of their hard work. Her clients are her upmost priority, putting in the effort to earn their trust and prove that she is on their side. By building a strong professional relationship with her clients, Melissa is truly able to grasp their particular needs and wants in relation to each file and manage their expectations. Her natural ability to build professional relationships further extends to her opposition. In a civil claim against the police due to a false imprisonment, Melissa was able to build a good rapport with the Defendant party to which they then agreed to pay the Bill of Costs in full. Melissa has a lengthy list of notable achievements beyond this. In a recent fatal clinical negligence matter the Defendant had been maintaining an offer which amounted to one tenth of the bill. Melissa’s eye for detail identified several errors and factually incorrect information in the Defendant’s Points of Dispute. Such issues were raised in Melissa’s Replies, forcing the Defendant to prepare Supplementary Points of Dispute which served to concede many of the original points. Further errors were identified resulting in Amended Supplementary Points of Dispute and ultimately resulted in the Defendant making a drastically increased offer. 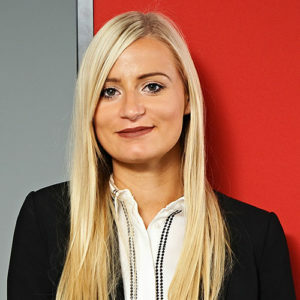 Melissa was then successful in liaising with the ATE insurer to waive a disputed premium, resulting in an excellent recovery for her client, without the need to proceed to an assessment. Melissa enjoys travelling whenever she gets the opportunity, with her favourite destinations being Thailand and Mexico. On the weekends, you can find her socialising with friends or in the kitchen learning a new Italian dish!